John Langan of Langan's Plumbing & Heating recently installed yet another Phoenix Light Duty, resulting in "another happy customer." The Phoenix Light Duty is highly efficient to save you energy and money. This condensing gas water heater operates at a 97% thermal efficiency rating and is extremely versatile with multiple installation options. Its 316L stainless steel materials allow for a long lasting tank life that is corrosion resistant and perfect for light duty commercial applications. 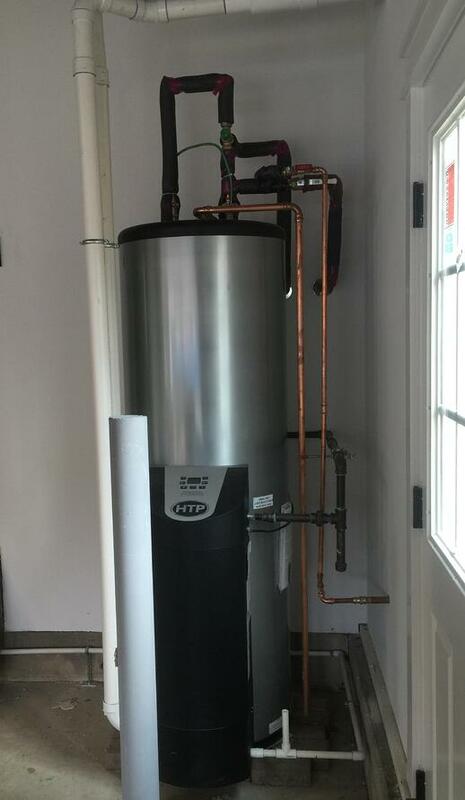 Compared to standard commercial gas water heaters, high efficiency models have better insulation, heat traps, and more efficient burners. High efficiency commercial gas water heaters have a much higher thermal efficiency rating than conventional heaters. The more efficient the heating system, the less energy is needed to heat your hot water needs – and the less you spend monthly on heating. Check out the Phoenix LD installation below! To learn more about the Phoenix Light Duty, download the brochure here.